Britain and Canada’s first and only woman to have a worldwide Netflix special, Katherine Ryan brings her acclaimed, total sell-out 2017/18 nation-wide tour show GLITTER ROOM to the Garrick Theatre in London’s West End. Originally from Canada, now UK based, and star of Netflix’s KATHERINE RYAN: IN TROUBLE and Comedy Central’s ROAST BATTLE and YOUR FACE OR MINE, Katherine is a writer, performer and stand-up comedian who is dominating the television and live comedy scenes – both in the UK and abroad. 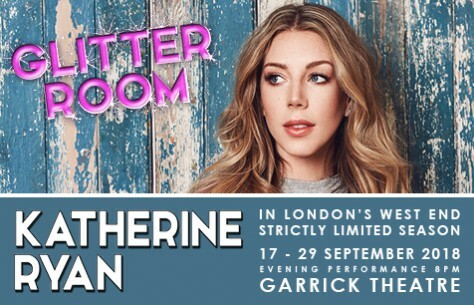 GLITTER ROOM is Katherine’s first UK tour since the hugely successful KATHBUM which had two sell-out nationwide UK tours as well as runs at the Edinburgh Festival, the Melbourne International Comedy Festival and the Just For Laughs Festival in Montreal.